The eight million acre Gates of the Arctic National Park and Preserve surrounds Peace of Selby, and offers our wilderness lodge guests solitude and serenity. All of the cabins owned by Peace of Selby are North of the Arctic Circle. See our map page for the area surrounding the cabins. Selby Lake is located approximately 300 miles northwest of Fairbanks, Alaska, the second largest city in the state with a population of about 80,000 people. 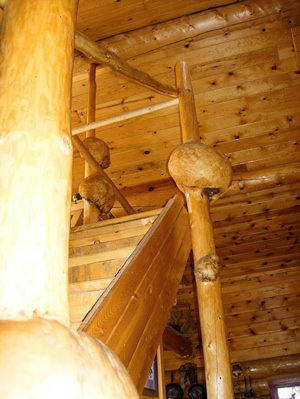 The region in which the cabins are located is known as the Upper Kobuk, and is in the Brooks Range. Our guests continually let us know how much their trip to Peace of Selby Wilderness has meant to them. Read our testimonials for a flavor of what your trip can be. This is a general guideline, which can be tailored to your planned activities. *NOTE: Access to the remote Alaskan Bush is by small aircraft with limited capacity. Therefore, please restrict personal baggage to 40 pounds or less. Excess baggage will be accommodated at your expense. This is only a list of birds that have already been seen at Selby Lake. We are continually adding to the list.